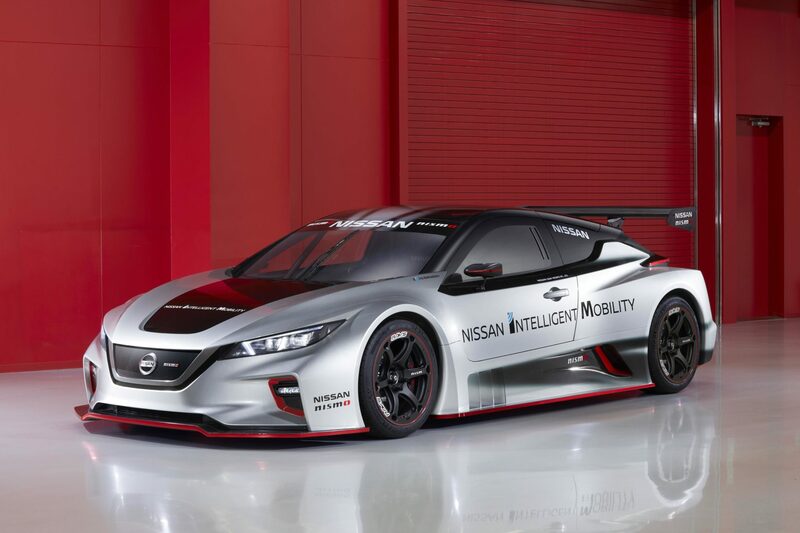 Nissan took the wraps off their version of an environmentally-friendly racecar, developed by their racing arm Nismo, at Nissan Crossing in Ginza City, Tokyo, Japan. 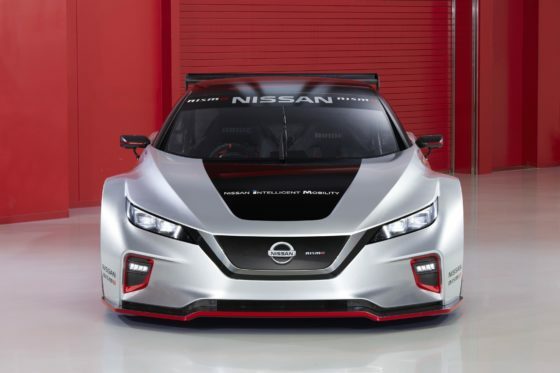 Based on the automaker’s most popular electric vehicle, the all-new Nissan Leaf Nismo RC will officially make its debut on December 2 at the annual Nismo Festival in Fuji International Speedway. It comes with dual electric motors at both ends of the chassis that produces 321.8 brake horsepower and 472 ft-lb of torque. All that power is sent to an all-wheel-drive layout using a system that manages power independently on each axle. Its high-capacity lithium-ion battery is located in the middle while the inverters are placed over the front and rear tires for optimized balance. Weighing only 1,220 kilograms, it uses lightweight components and a full carbon-fiber racing monocoque structure. The body is aggressively restyled body starting with Nissan’s signature V-motion grille. Six Nissan Leaf Nismo RCs are set to be built and deployed around the world. “The all-new LEAF NISMO RC shows how we’re setting our sights even higher when it comes to raw power and performance – making electric vehicles even more exciting for customers. It’s our most thrilling expression yet of the philosophy of Nissan Intelligent Mobility,” said Executive Vice President Daniele Schillaci, Nissan’s global head of marketing, sales and electric vehicles.